Kensington is a district of West London, England within the Royal Borough of Kensington and Chelsea, located west of Charing Cross. The focus of the area is Kensington High Street, a busy commercial centre with many shops, typically upmarket. 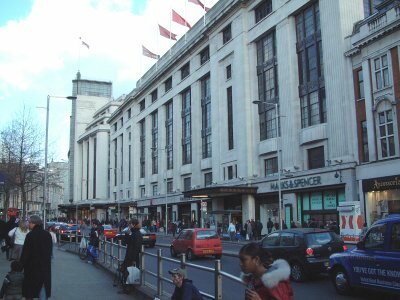 The street was declared London's second best shopping street in February 2005 thanks to its range and number of shops. The edges of Kensington are not well-defined; in particular, the southern part of Kensington blurs into Chelsea, which has a similar architectural style. 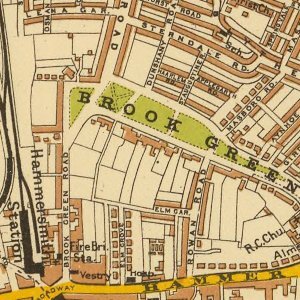 To the west, a transition is made across the West London railway line and Earl's Court Road further south into other districts, whilst to the north, the only obvious dividing line is Holland Park Avenue, to the north of which is the similar district of Notting Hill. Kensington is, in general, an extremely affluent area, a trait that it now shares with its neighbour to the south, Chelsea. The area has some of London's most expensive streets and garden squares. Kensington is also very densely populated; it forms part of the most densely populated local government district (the Royal Borough of Kensington and Chelsea) in the United Kingdom. This high density is not formed from high-rise buildings; instead, it has come about through the subdivision of large mid-rise Victorian and Georgian terraced houses (generally of some four to six floors) into flats.